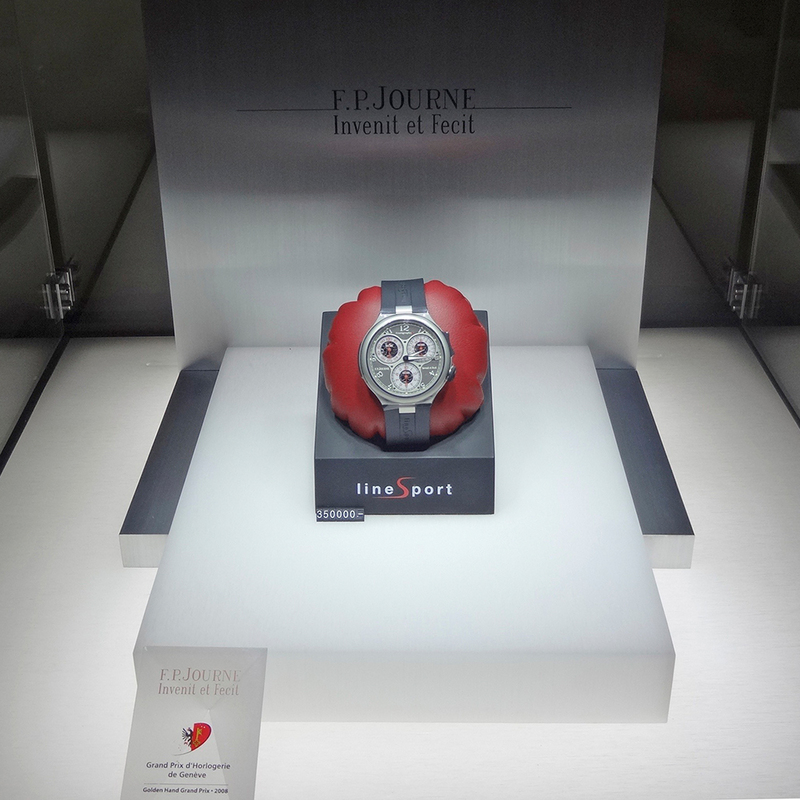 Designed 20 years ago for F.P. 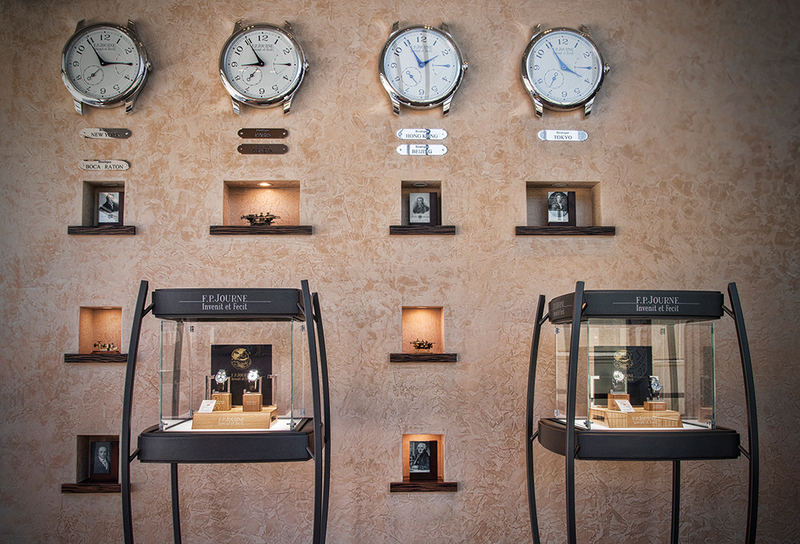 Journe, the Archange display case hasn’t aged a day. 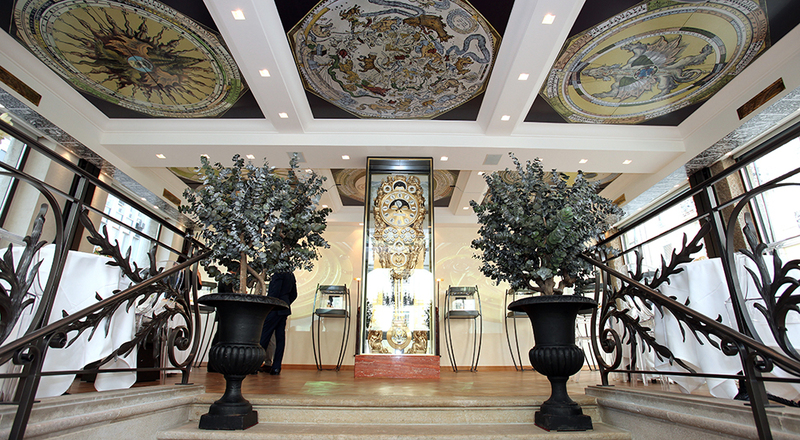 It is on show, as if it were a sculpture, in the Hotel Epic in Miami. 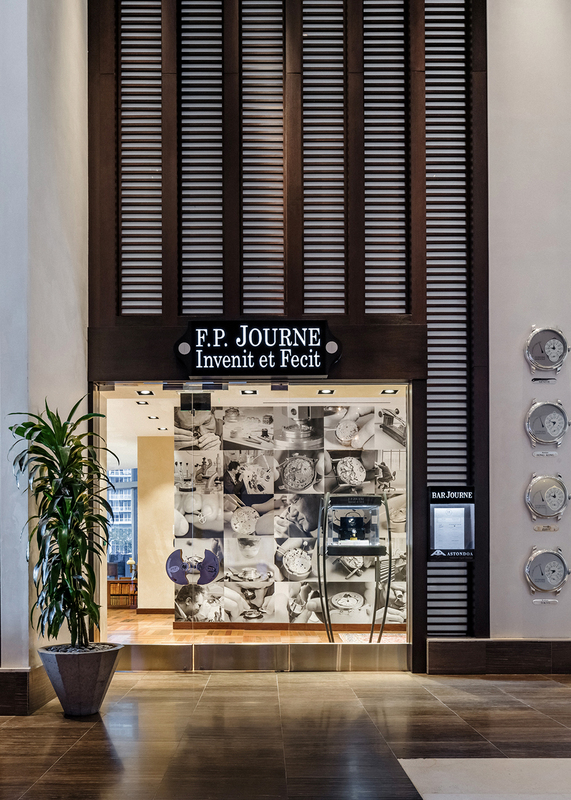 F.P.Journe celebrates the opening of the first Maison F.P.Journe in the EPIC Hotel overlooking the Miami River in the heart of downtown Miami. 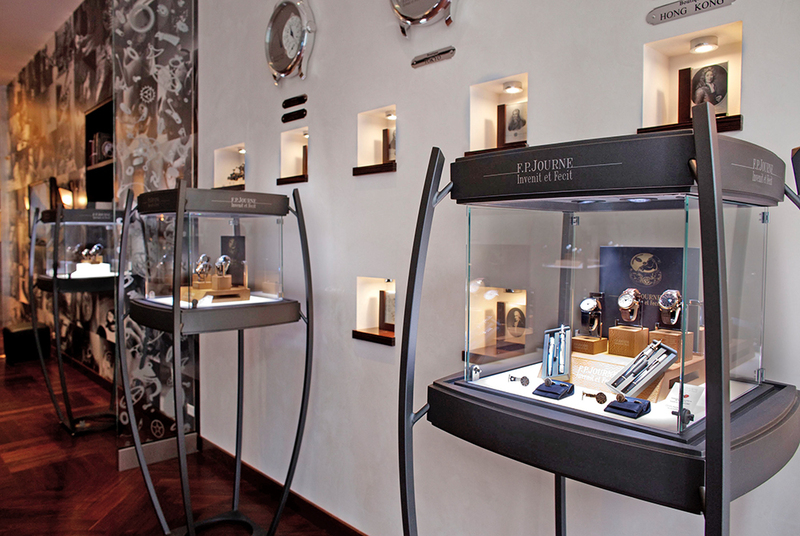 A circle of distinctive glass display cases showcasing F.P.Journe precision chronometers commands the space they share with Bar Journe. 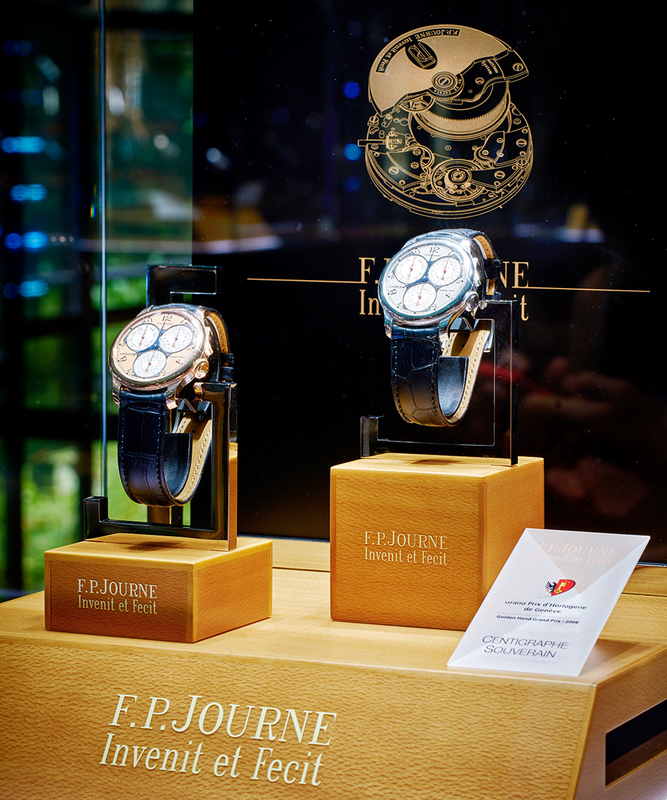 F.P.Journe participates for the first time to Watches & Wonders Miami from 16 to 19 February at the Palm Court Building in the Miami design district. 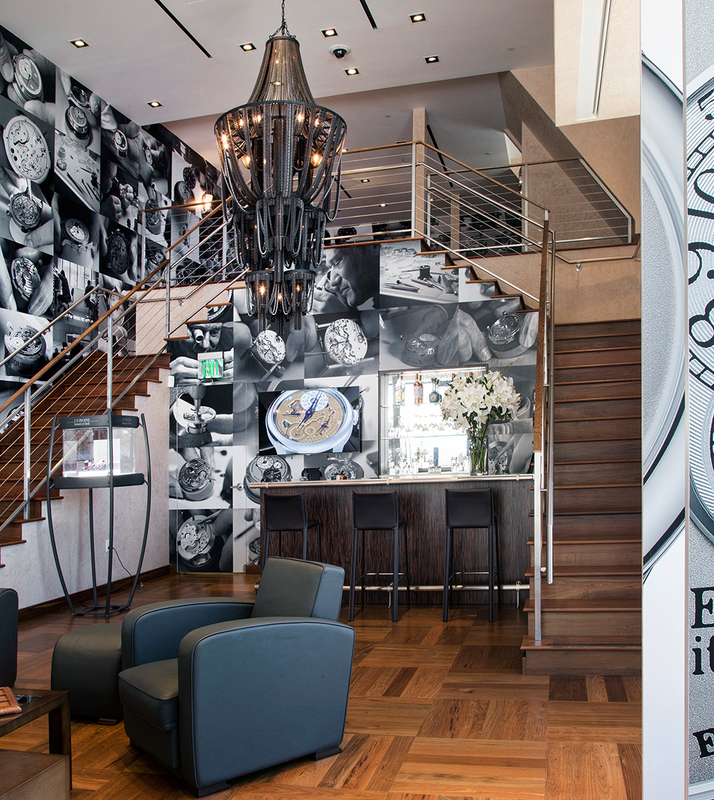 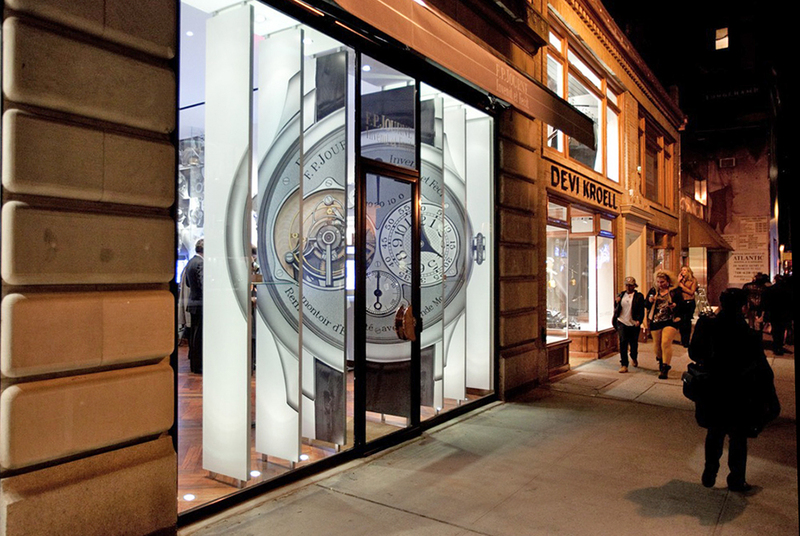 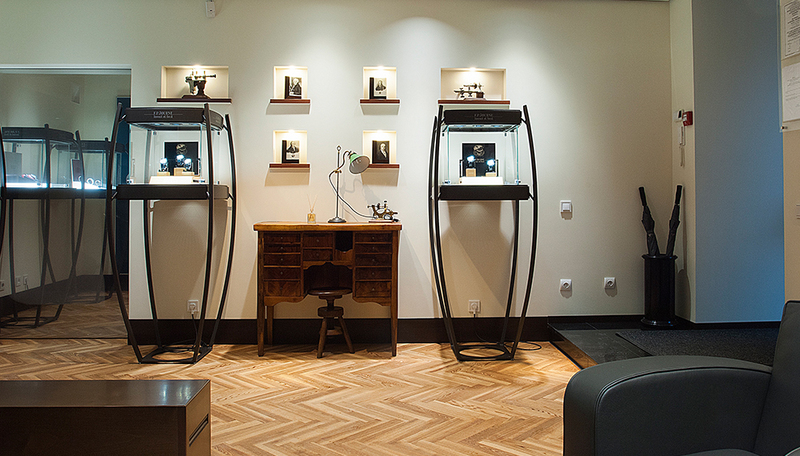 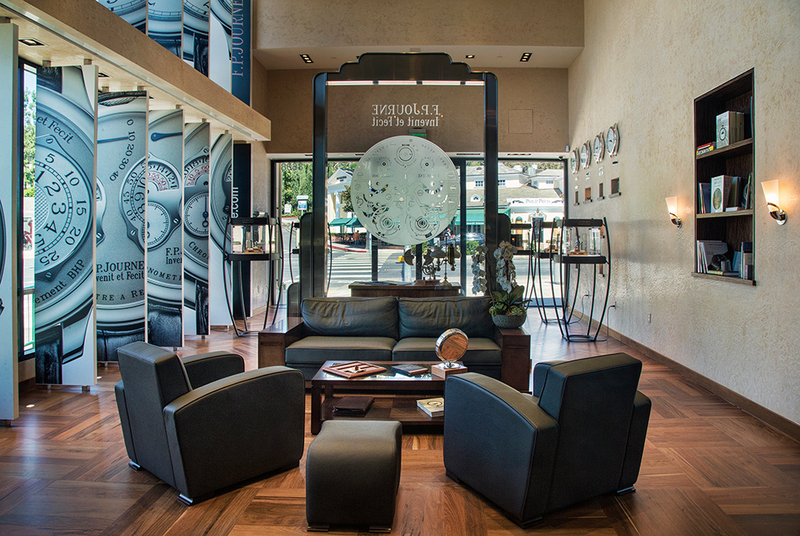 FP Journe opens a new boutique in Los Angeles. 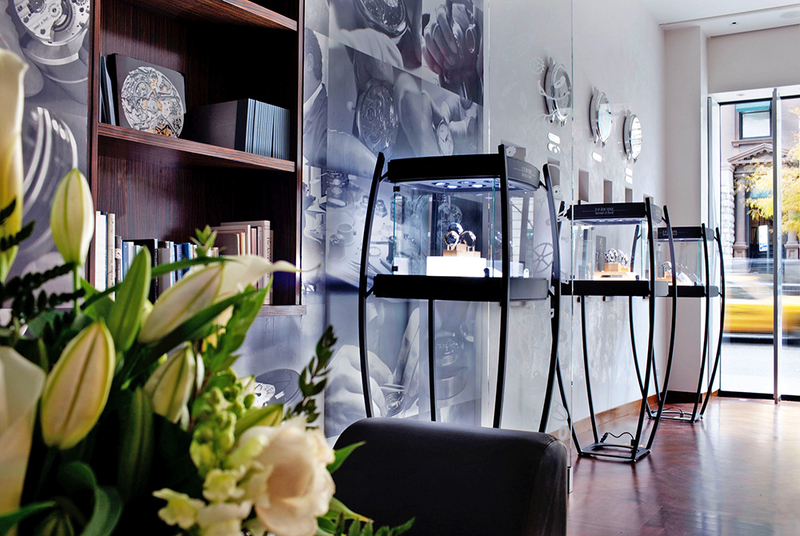 Go and visit one of the most beautiful and unique watch boutique with Archange display cases positioned like sculptures. 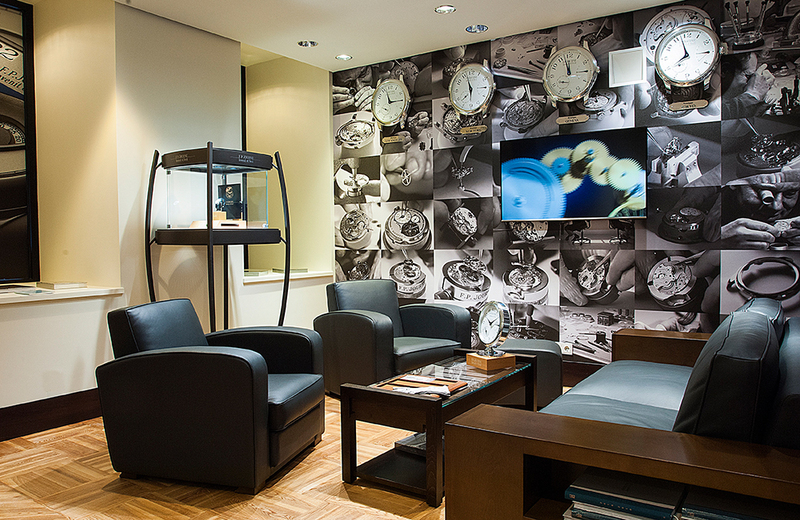 Visit the FP Journe Manufacture at the heart of Geneva. 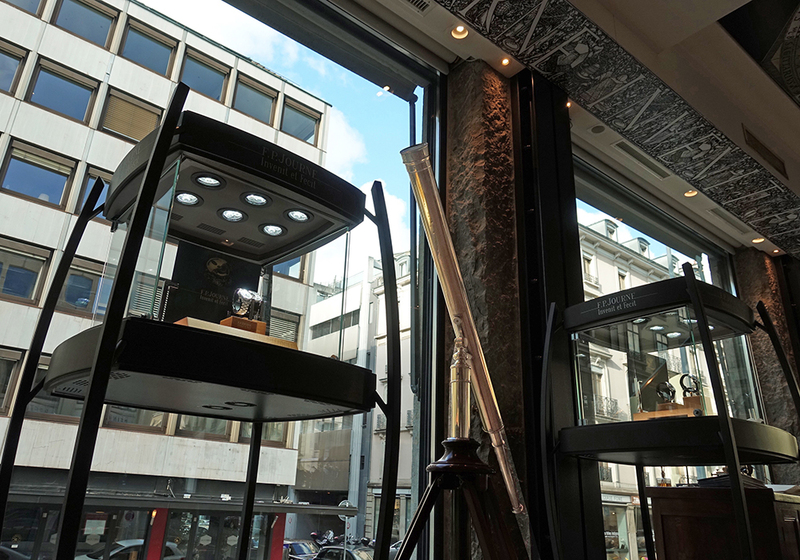 At the heart of Geneva, one of the most attractive workshops in the world. 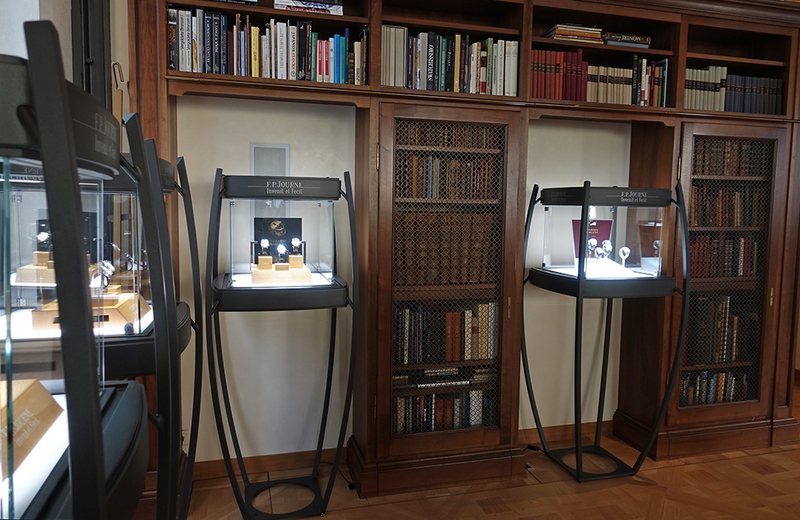 The library of Jean-Claude Sabrier now on display at FP Journe. 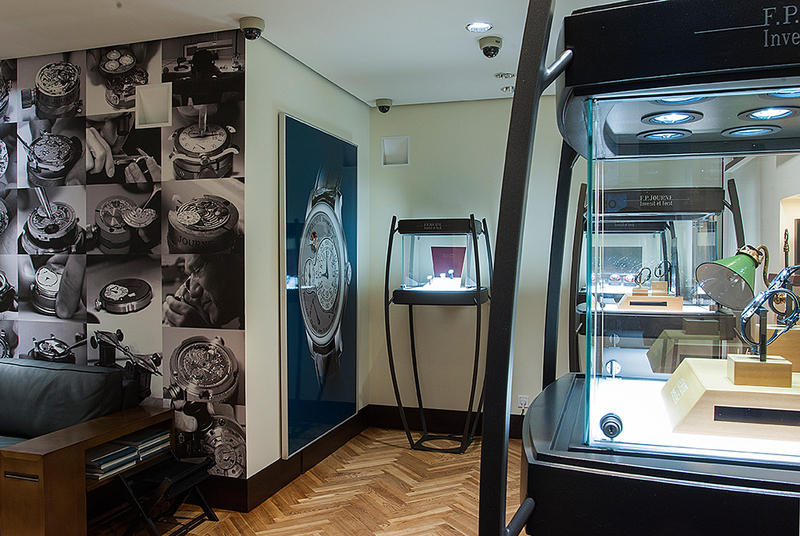 Display cases positioned like sculptures in a historic setting. 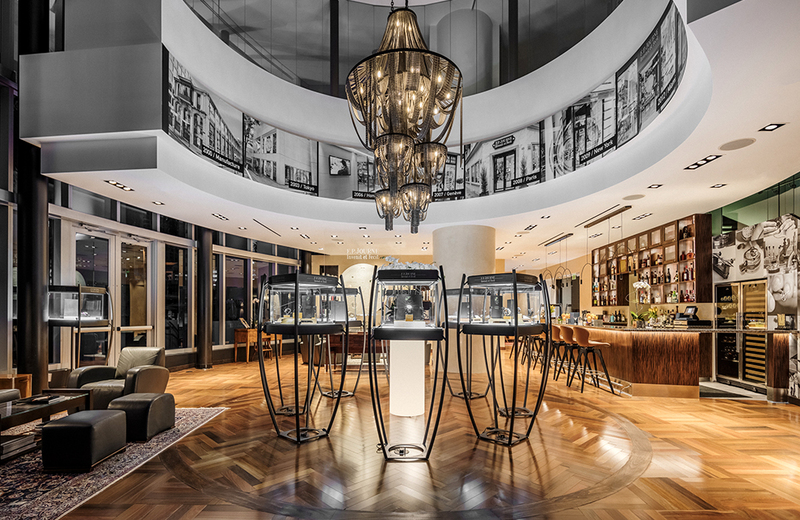 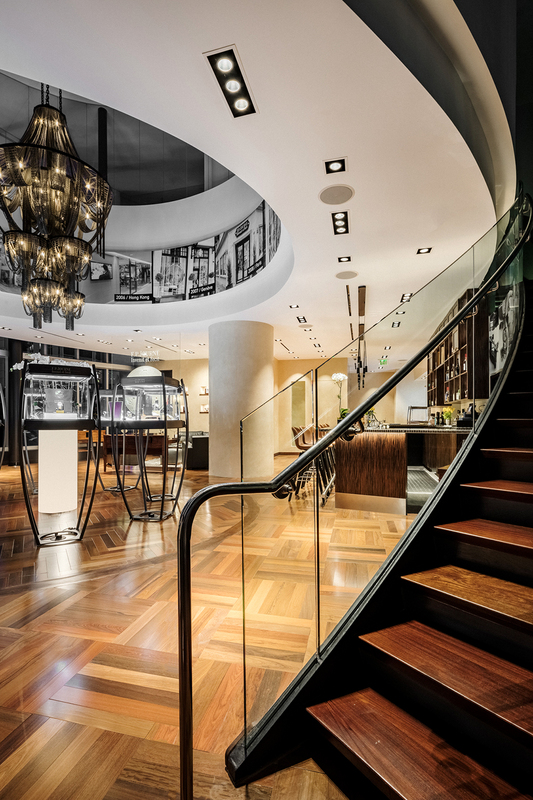 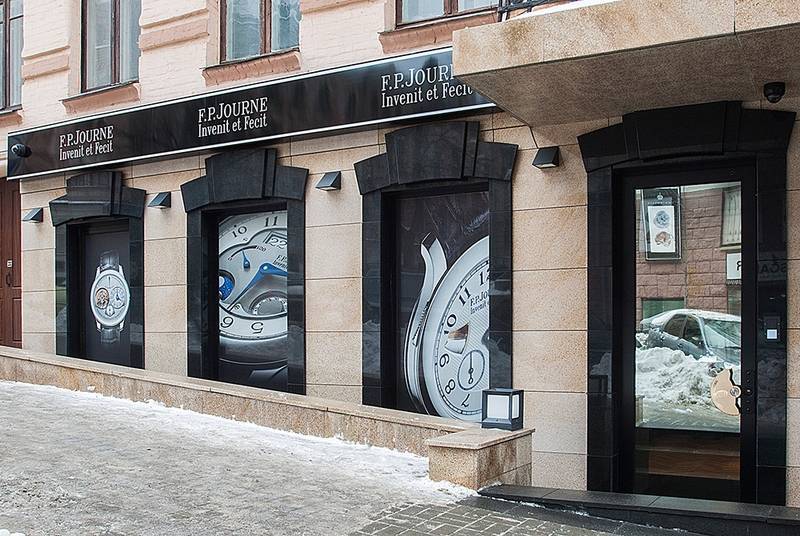 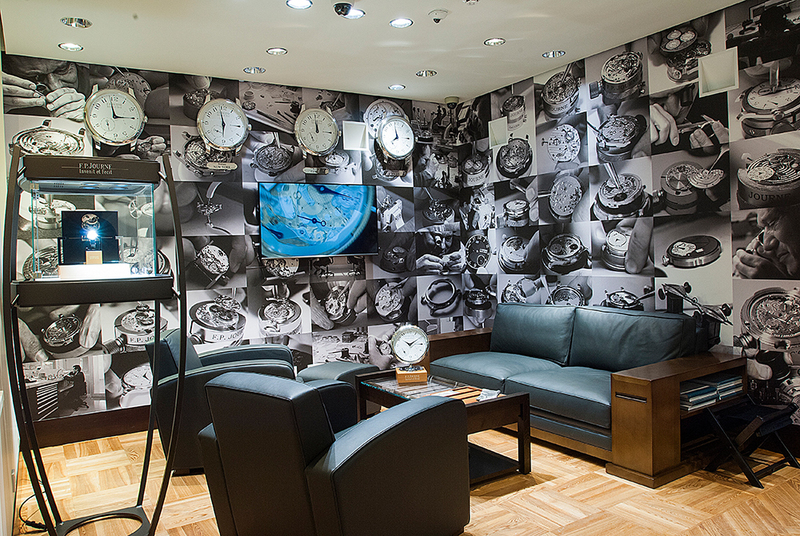 FP Journe opens a new boutique in Kiev, Ukraine. 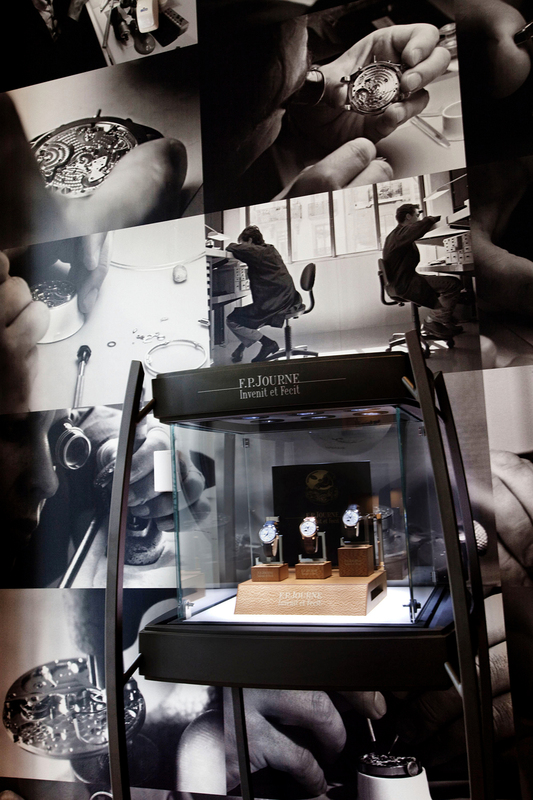 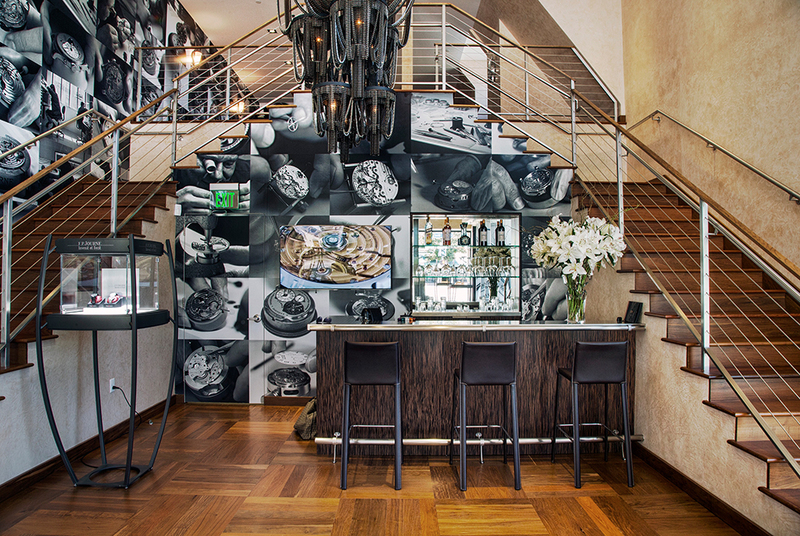 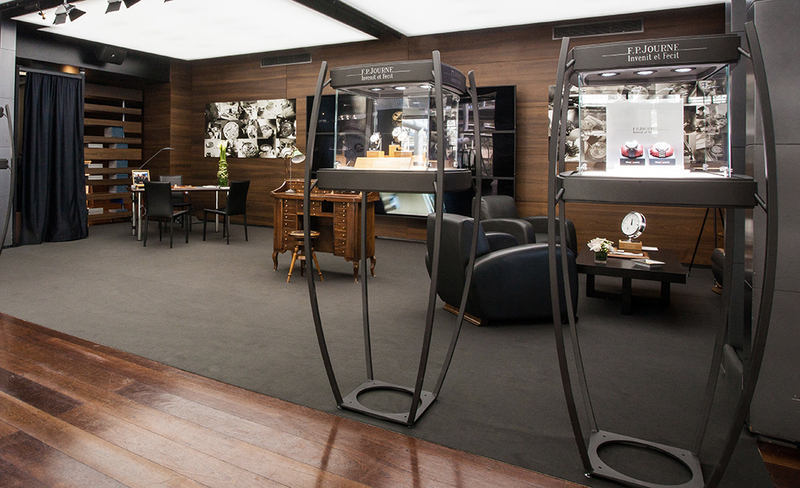 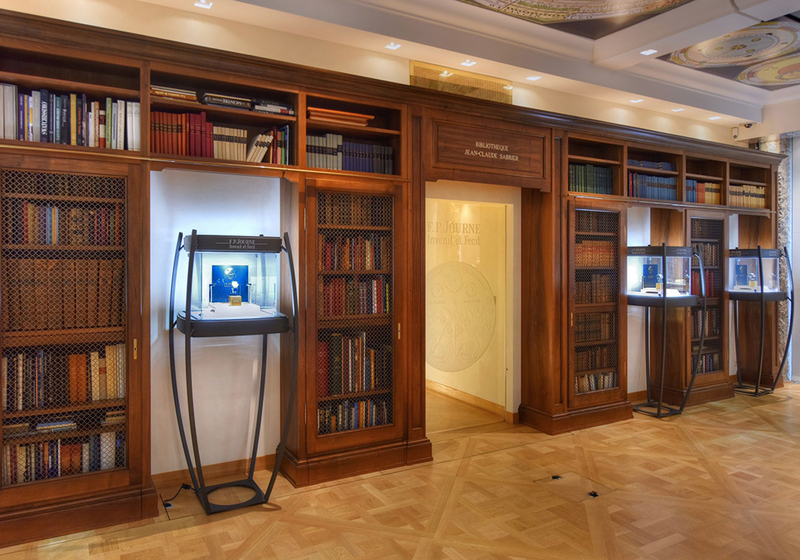 artmonte-carlo : An artful setting for F.P.Journe's ephemeral Boutique! 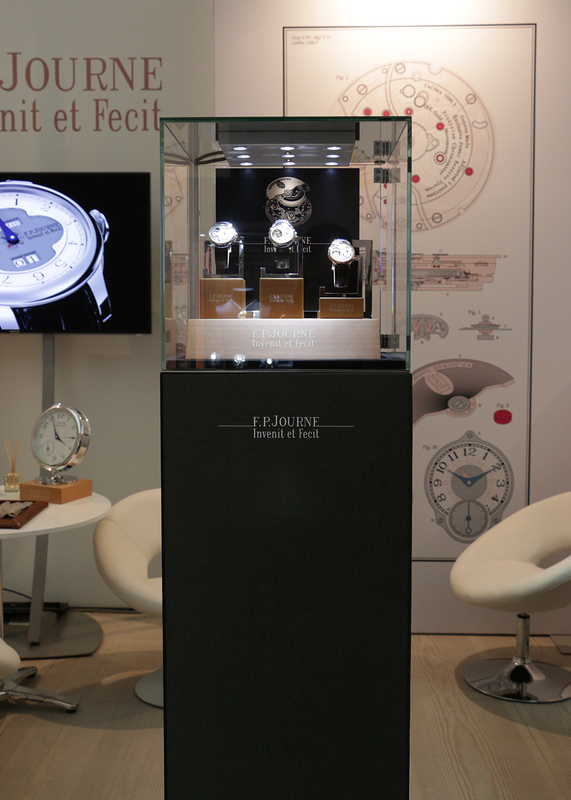 From April 29-30, F.P.Journe will take part in artmonte-carlo as the official sponsor, supporting the contemporary art and design exhibition in Monaco on the prestigious Côte d'Azur. 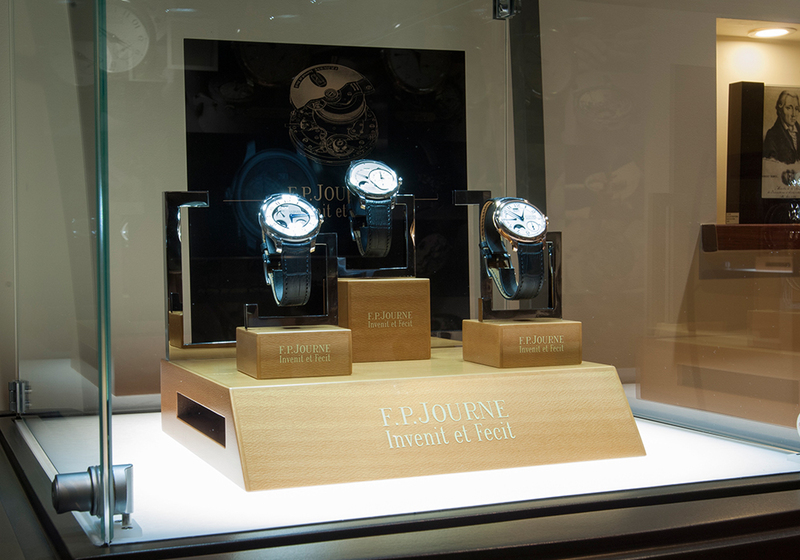 For the occasion, F.P.Journe’s ephemeral Boutique will be located in the 'Espace Indigo’ in the Grimaldi Forum, allowing guests to discover the brand’s collections among other works of art. 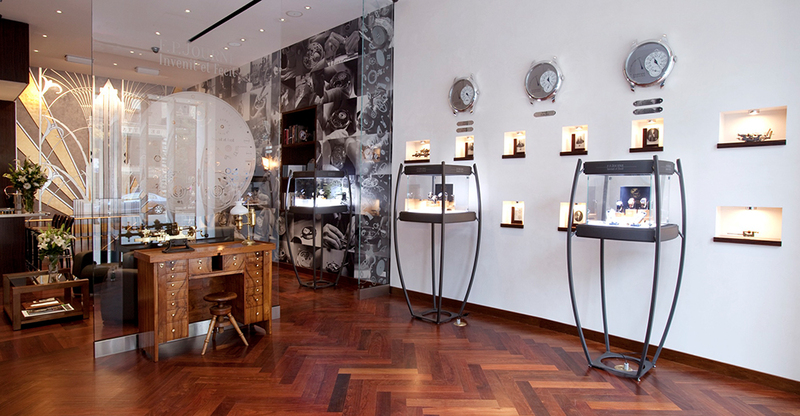 FP Journe on Madison Ave in NYC, one of the most beautiful boutique in the world. 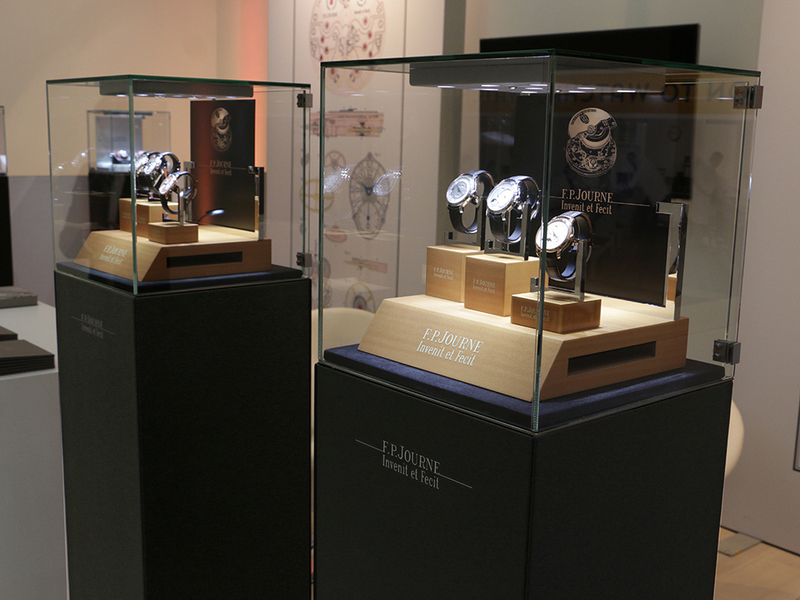 FP Journe at SalonQP, London.